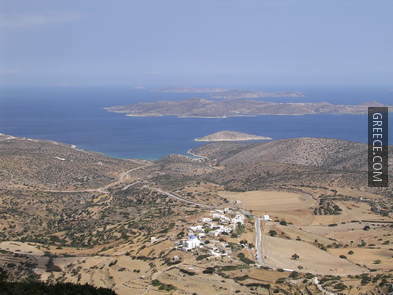 Iraklia belongs to the group of islands known as the Little Cyclades. 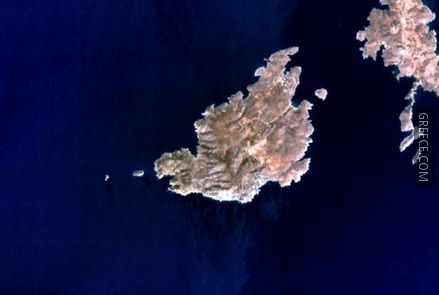 It is a tiny island with an area of 19km² and 150 inhabitants. It is a place ideal for relaxing, as time seems to have stopped here. There are no banks, no petrol stations, no buses or taxis, no camping facilities and no authorities except the municipality office. The history of the island is largely unknown. Because the island is so small, it was probably not troubled, other than pirates. Iraklia was probably a Minoan settlement in the 2nd Century B.C., as there is a homonymous city in Crete. Under Venetian and Ottoman rule, the island paid taxes but it seems that it was the only obligation the Iraklians had. 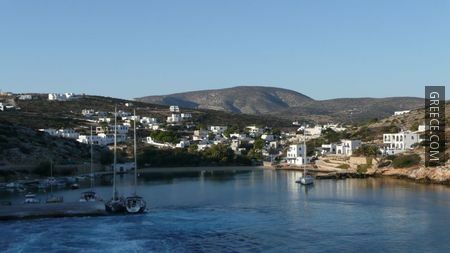 Agios Georgios: The port and main village is Agios Georgios. 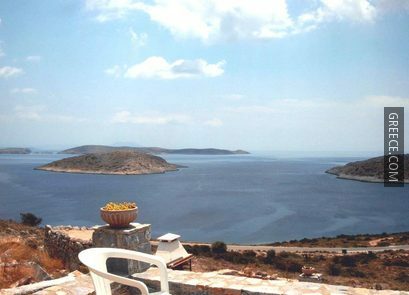 It is a very small, quiet and typical Cycladic settlement. 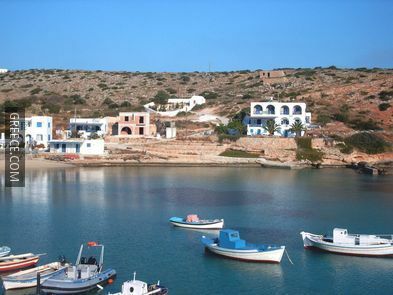 Panagia or Hora: This is the capital of the island, 3.5km away from the port (40 min walk). It is a pleasant one-street village with fine views of the surrounding islands. In Panagia, you can find a few shops and cafes. 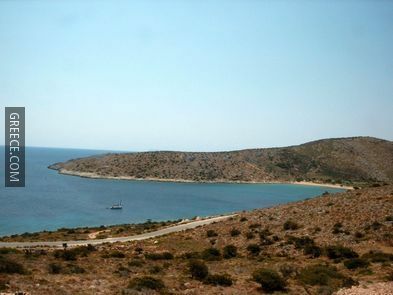 Livadi beach: This is a quite large sandy beach, the best on the island. 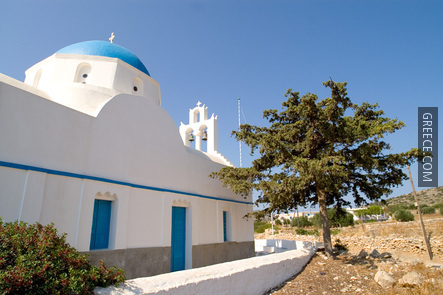 On foot, it is just fifteen minutes away from Agios Georgios. The water is extremely shallow and up on the hill lies the abandoned village of Livadi. 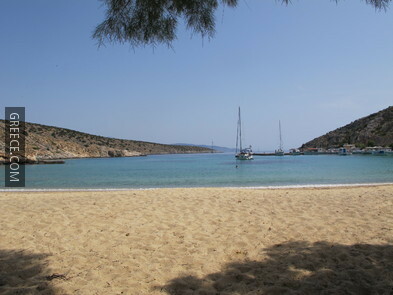 Agios Georgios: The port has one small sandy beach which is particularly good. Also, there are some inaccessible beaches on the island that can be visited only by boat. 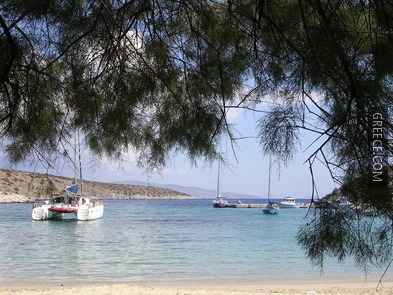 Daily boat trips to those beaches depart from the main port of Agios Georgios. 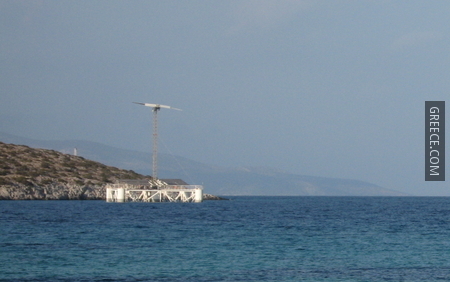 There are 3 ferries per week from Piraeus, while others connect Iraklia to Naxos more frequently (up to six times a week). There are no cars, buses or taxis on the island. You can rent a scooter or a donkey; the only other alternative is walking. 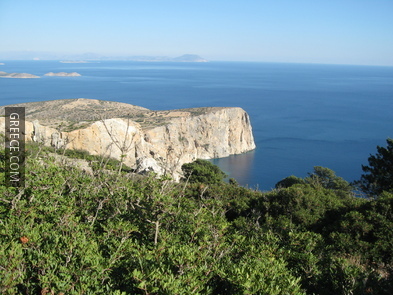 Iraklia has a temperate Mediterranean climate. Winter is relatively mild and windy. Summer is hot with cooling winds, especially during August. 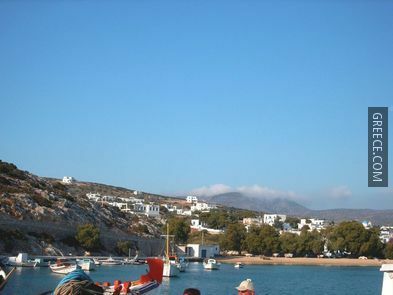 The best time to visit the Island is during spring, when the weather is nice, the temperature is moderate and there is a limited number of tourists. September and October are also good months to visit Iraklia.